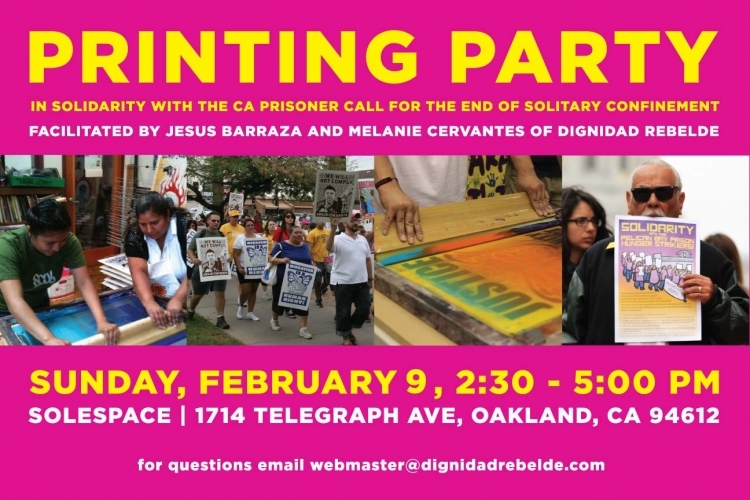 Thanks to Melanie Cervantes and Dignidad Rebelde, we have two new posters for the rally to be held this Tuesday, February 11 following the California legislative hearing on solitary confinement. Poster images below. These and others will be screened at Sole Space on Telegraph in Oakland Sunday afternoon; see below and come help! 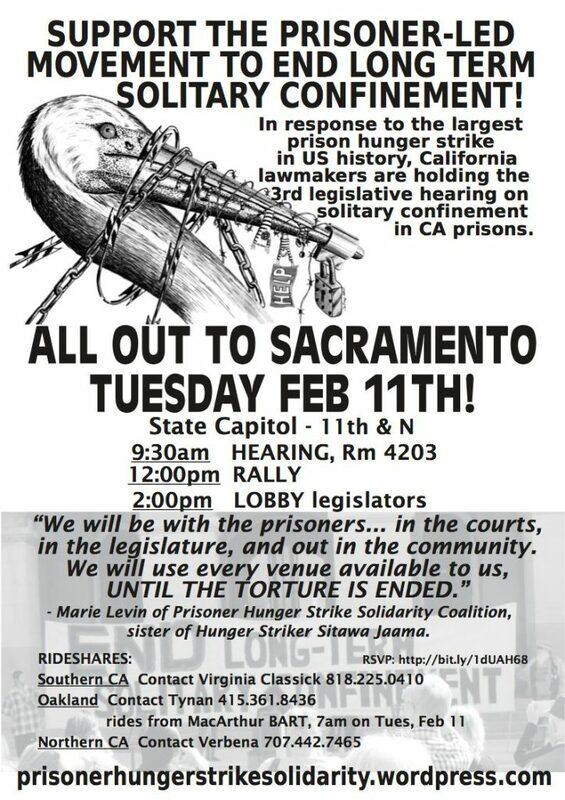 The flyer for the hearing and rally is here. and if you believe that, you’re a fool. I’m just the subject of ridicule. I’ll never get a moment to shine. For in purgatory, I am stuck. When I was born, I was out of luck! thinking of brighter days ahead. and walk among the dead. for a body in need like me? shackled when I should be free. For thirty years, I’ll be in here. It’s called the ‘war on drugs’. they turned us into thugs. 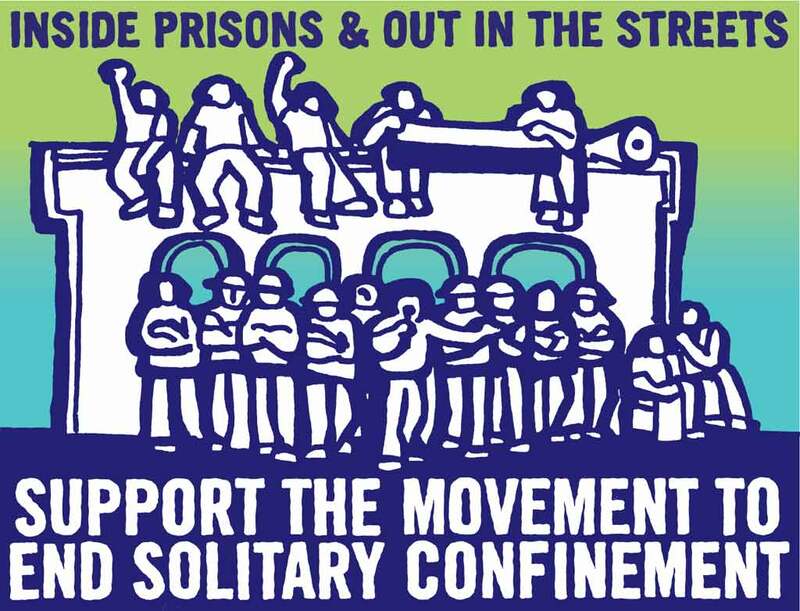 On Jan. 15, 2014, approximately 25 prisoners in Administrative Detention at Menard Correctional Center went on hunger strike. The hunger strikers have been told the prison administration is working on obtaining a preliminary injunction to force feed them. They expect to continue the hunger strike even if they are force fed. “We need as much outside support as possible,” the prisoners say. Please call or email: Gov. Pat Quinn, Warden Rick Harrington, Illinois Department of Corrections Director Salvador Godinez. The following information is drawn from letters received from prisoners in Administrative Detention at Menard Correctional Center in Menard, Illinois, and compiled by attorney Alice Lynd. GUANTANAMO BAY, Cuba — The inmates of the detention center here were once considered the “worst of the worst” in the “war on terror.” U.S. officials locked away hundreds of men picked up all over the world in a belief that they were all hardened enemies of America, ruthlessly committed to their cause. But now, more than a decade later, many of the remaining detainees — the vast majority of whom have never been charged, and scores of whom have been cleared for release — are ailing as they get older behind bars. Their physical and mental health after years of captivity, often marked by hunger strikes, now requires frequent medical attention. After being wrongly convicted, Mandez went to prison and was promptly placed into solitary for institutional offenses so petty that they almost beggar belief. Excerpts from The Atlantic – “The story of Sam Mandez is appalling on so many different levels it’s hard to know where to begin. Convicted for a murder no one has ever proven he committed, sentenced to life without parole at the age of 18 because the judge and jury had no other choice, confined for 16 years in solitary for petty offenses in prison, made severely mentally ill by prison policies and practices, left untreated in that condition year after year by state officials, Mandez personifies the self-defeating cruelty of America’s prisons today. And yet Mandez is not alone in his predicament. All over the nation, in state prisons and federal penitentiaries, officials are failing or refusing to adequately diagnose and treat inmates who are or who are made mentally ill by their confinements. The dire conditions in which these men and women are held, the deliberate indifference with which they are treated, do not meet constitutional standards. And yet there are thousands like Mandez, symbols of one of the most shameful episodes in American legal history. On July 26, 1992, an elderly woman named Frida Winter was murdered in her home in Greeley, Colorado. The police recovered fingerprints from the scene and later found some of Winter’s things in a culvert near her home. But for years the investigation went nowhere in large part because it was flawed in nearly every way. Other fingerprints from Winter’s home were not recovered. Leads were not adequately pursued. Logical suspects were not properly questioned. At the time of Winter’s death, Sam Mandez was 14 years old. Four years later, the police caught what they considered a break. Fingerprints from Winter’s home finally found a match in a police database—and the match was Sam Mandez, who had just turned 18. They brought him in for intense questioning. But Mandez had a strong alibi. He and his grandfather had painted part of Winter’s home in 1991, a year before her death. There was good reason for his prints to have been on the window that was broken on the night of Winter’s death. Mandez had been in trouble with the law before—but never for a violent crime. 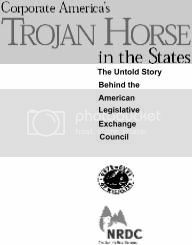 …After being convicted of a crime with which he never should have been charged, Mandez went to prison and was promptly placed into solitary—”administrative segregation,” is what bureaucrats call it—for institutional offenses so petty that they almost beggar belief. He made a three-way phone call he wasn’t supposed to make. He put his key in a bathroom lock after it was closed for the evening. How about: Even Kafka, even Hugo, did not memorialize such diabolical perversions of law and justice. For that, Colorado prison officials in 1998 put Mandez away, in lockdown, where he more or less has remained for nearly 16 years. What happens when you take a young man and confine him in such conditions for such a long period? 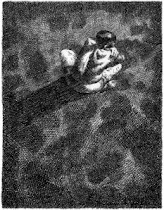 The young man becomes severely mentally ill. And his illness causes him to act out. And in acting out he gets in more trouble, which justifies his continuing placement in solitary confinement which in turn causes him to act out more. 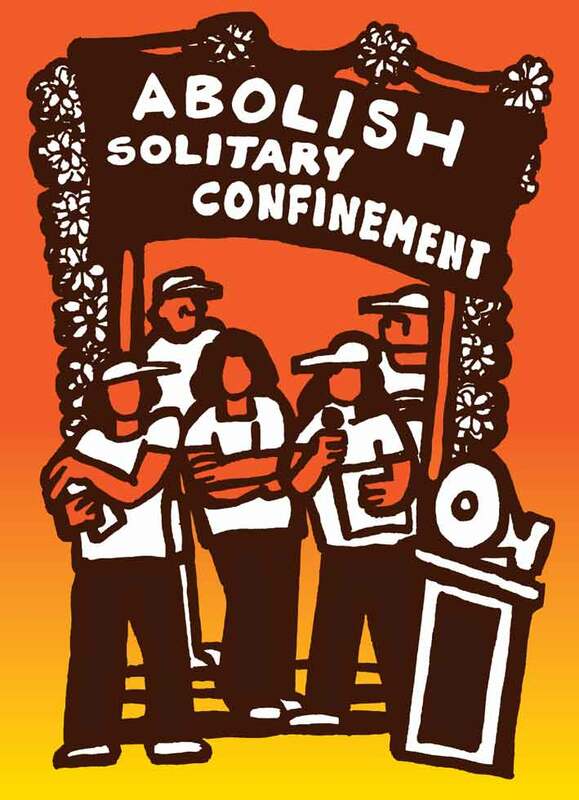 For more information visit www.angola3.org andhttp://angola3news.blogspot.com/.